An Update On For-Profit Colleges : NPR Ed New regulations and new complaints for a troubled sector; a new owner for a troubled college. NPR Ed is updating readers on some of the top stories we've been following in 2014. There was lots of news coming out of the for-profit education sector this year, most of it related to regulatory action. "Between 2000 and 2010, enrollment at the nation's for-profit colleges quadrupled, peaking at 1.7 million — or about 1 in 10 college students. These colleges benefited from both the Internet boom and the relaxing of credit in the run-up to the financial crisis. They spent serious money on advertising and marketing, targeting working and low-income adults with convenient online programs and the promise of job opportunities, and sometimes lending them private student loans. But the sector has been plagued by repeated allegations of financial mismanagement, fraud and abuse. For-profit colleges have been the target of class-action lawsuits, congressional investigations, and probes by state attorneys general." 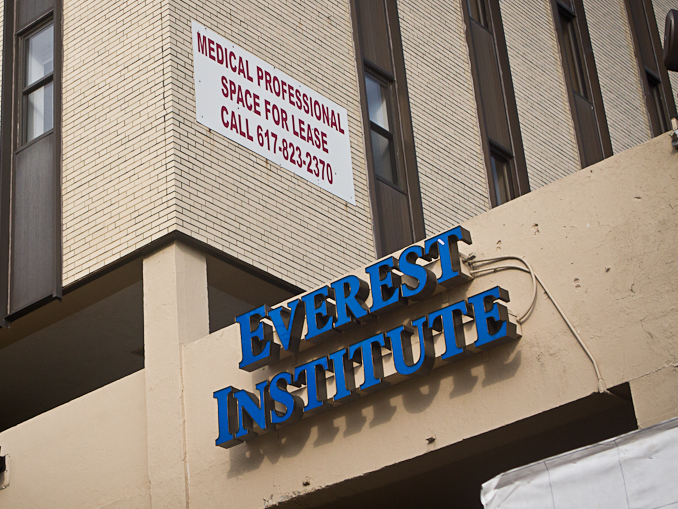 In July of this year, Corinthian College, with 72,000 students across the country, struck a deal with the Department of Education to sell or close all its campuses. As we reported, students wondered what would happen to their programs and, of course, the loans they in most cases took out to pay for them. In November, a buyer was found for 56 of those campuses: Education Credit Management Corporation. This nonprofit has no experience running colleges; instead, it services student loans on behalf of the federal government. But a group of Democratic representatives objected to the sale, writing in a letter to Education Secretary Arne Duncan that the buyer has its own checkered history: "The ECMC group... has benefited by collecting loans from students, sometimes using dubious tactics." Switching to nonprofit ownership could exempt the schools from the gainful employment rule, a key regulation meant to impose accountability on for-profit colleges. "It's an odd turn of events," says Kevin Kinser, an expert on the proprietary school market at SUNY Albany. "For a company that has no experience running institutions to suddenly decide it has what it takes to turn around this struggling model--it's odd." He pointed out that if the campuses in question had closed instead of changing hands, many more students' loans would have been forgiven, leaving the Department of Education and taxpayers holding the bag. Senate Democrats have called for the administration to forgive these students' loans. The Department of Education endorsed the move in a press release that quoted Under Secretary Ted Mitchell: "We are glad that Corinthian has reached an agreement with ECMC Group and believe that this transition will allow students to maintain progress toward achieving their educational and career goals and protect taxpayers' investment, while Corinthian moves out of the business." The press release said ECMC promises to cut tuition by 20 percent and improve its reporting of things like completion and job placement rates.